Purrblog: Cat Ignored by People, Kept Pawing at Window Whenever They Would Pass, Until Finally Someone Finally Noticed Him! Cat Ignored by People, Kept Pawing at Window Whenever They Would Pass, Until Finally Someone Finally Noticed Him! This poor cat was left all alone when his human passed away. 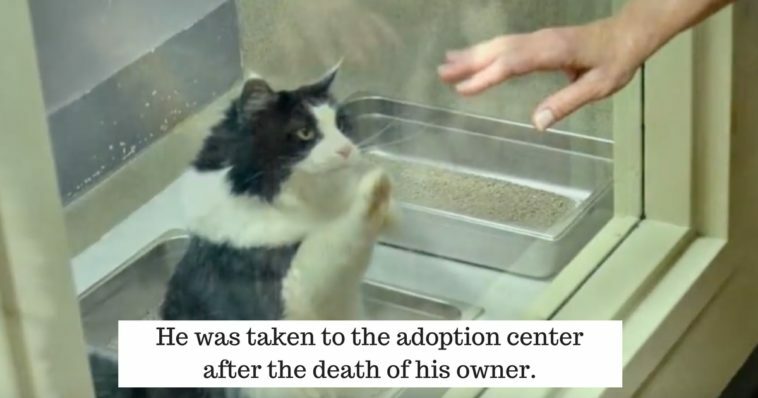 Before he went to the adoption center, he loved his owner every day until they parted – sadly now he’s been begging at the window and pawing for someone to come love him. It’s heartbreaking when people don’t love older senior cats or adopt them, but thankfully this sweet kitty finally pawed someone’s heart and she fell in love with him instantly. She adopted him when everyone else ignored him. Finally, someone saw him and opened their heart, this is just AMAZING… Just watch the video! Read the full story here... Cat Ignored by People, Kept Pawing at Window Whenever They Would Pass, Until Finally Someone Finally Noticed Him!